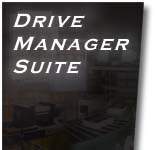 Welcome to Drive Manager Online - the website dedicated to the Software for Hitachi inverters. This site is owned and maintained by Power Drive Services UK. Use of this site is free of charge courtesy of Power Drive Services. www.inverter.co.uk The suite is designed to enable the remote programming and operation of Hitachi inverter ranges of AC inverters and sensorless flux vector inverter drives from any IBM-compatible PC. The latest addition to the Drive Manager portfolio, The DOP Professional software is both an offline programming tool and online monitoring tool for the Hitachi L100, SJ100, L300P and SJ300 Range of Hitachi Inverters. For more information on the DOP Professional software or any other product from the Drive Manager Suite, please visit the products section.